For a little more than a year now, the Rachel Carson Center in Munich has been serving as an international hub for environmental history under the directorship of Christof Mauch and Helmuth Trischler. 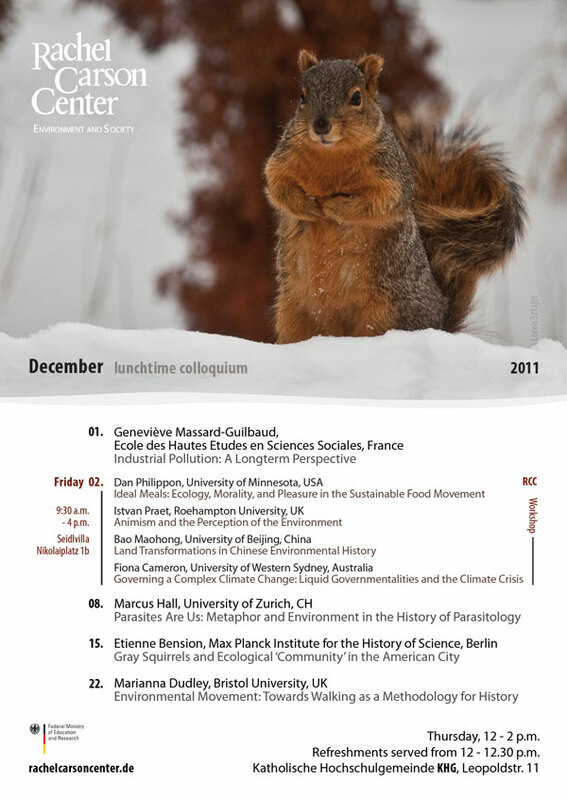 On December 15th, I’ll be speaking in the RCC’s lunchtime colloquium on a topic that has fascinated me for a while but has only just begun to shape up into an argument about the history of human-animal relations: the adaptation of the North American eastern gray squirrel (Sciurus carolinensis) to the urban environment. See below for the RCC’s full lunchtime colloquium schedule for December.